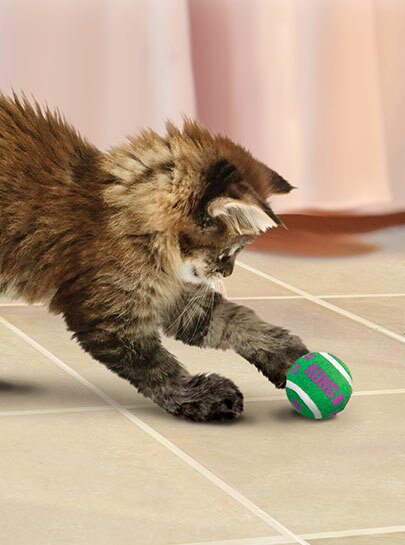 The KONG active cat toy provides interaction from your feline. It promotes healthy exercise and satisfies your cats' instinctual desire to hunt, chase and capture. It has a nonabrasive felt that is gentle on your cats' teeth. It encourages exercise amongst indoor cat's. 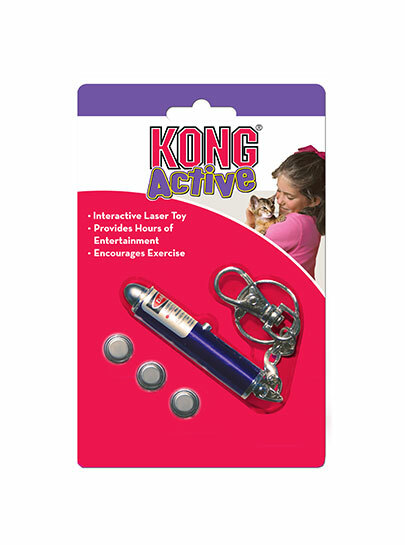 KONG Naturals Catnip Spray is designed to provide your cat with irresistible fun. It is made with concentrated catnip oil for maximum fun. It is produced using the most potent catnip oil available. For longer-lasting fun, spray on toys, teasers, scratchers, or cat condos. All ingredients and oils come from natural, renewable resources. 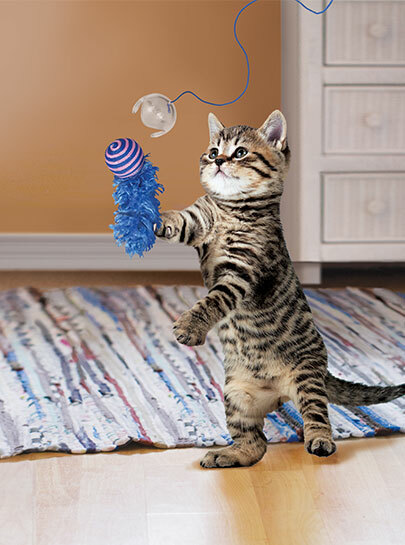 These products are designed to appeal to the natural instincts of the indoor cat, providing fun with a purpose. The KONG Goodie Bone is the answer to dogs that love the classic bone shape but need a safe and strong rubber toy. Great for storing treats or treat paste. 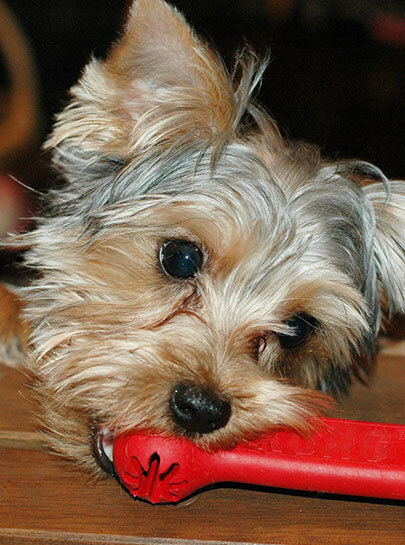 The KONG Extreme is a durable dog treat toy designed for those that love to chew. It's made out of strong rubber and durable for the toughest of chewers. 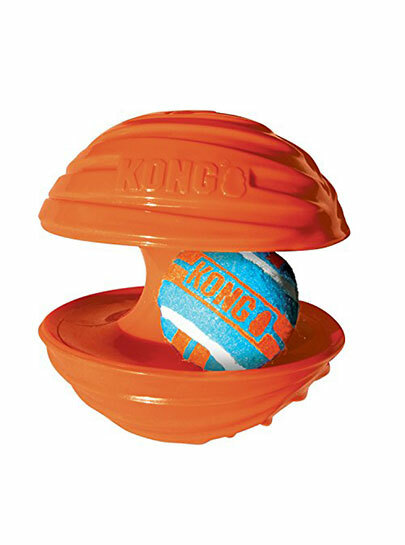 KONG Extreme is also designed to fulfill's a dog’s need to play. You can also extend your dog playing time by stuffing the KONG Extreme with treats or a dash of peanut butter for extra fun. 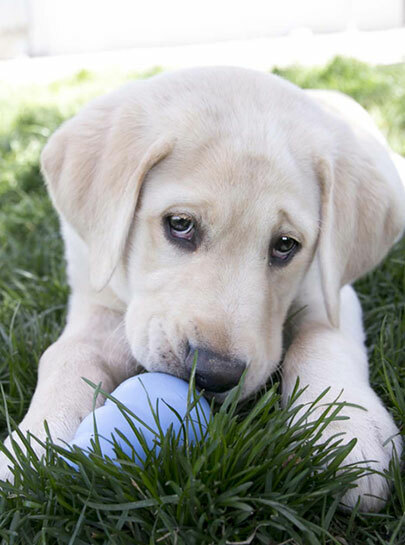 The Puppy KONG dog toy is customized for a growing puppy's baby teeth, the unique, all-natural rubber formula is the most gentle within the KONG rubber toy line. Designed to meet the needs of a puppy's 28-baby teeth, it helps teach appropriate chewing behavior while offering enrichment and satisfying a younger pup's instinctual needs while the erratic bounce makes it ideal for those pups that just want to play. A stuffed Puppy KONG occupies busy little ones while allowing pet parents the freedom to attend to their unique needs. Want to make crate training easier or extend play time? Be sure to stuff with puppy kibble and a dash of peanut butter. Not recommended for puppies over 9 months. The KONG Rambler is a super exciting new puzzle game challenge that combines two toys into one for extra fun. 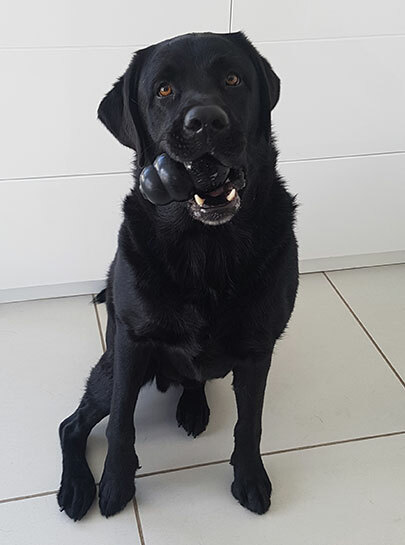 You have the squeaker and the tennis ball in one toy for the most interactive play! Your pet will love this. 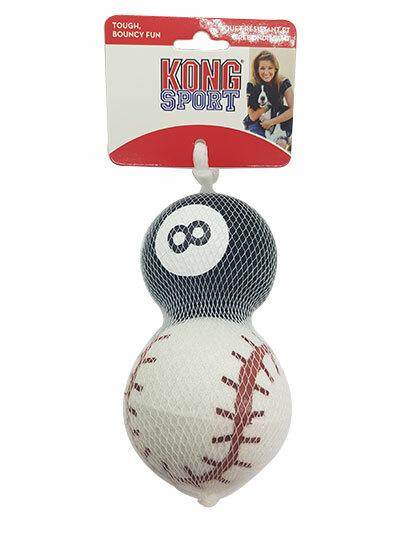 The KONG Sport is a great bouncy ball that your pet will love. Made with extra-thick rubber walls, these toys are tough enough for serious games of fetch. Give them a throw and watch your dog go crazy for these rugged, bouncy balls. 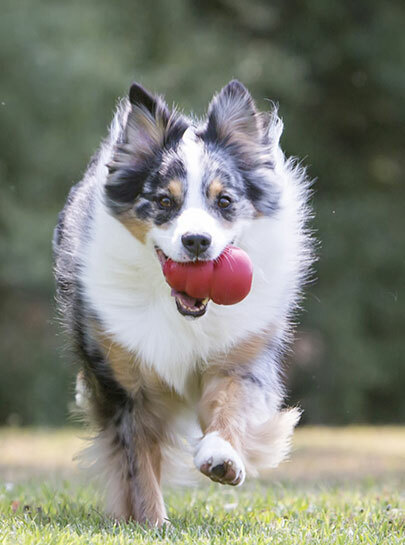 The KONG AirDog Squeakair Ball is a tennis ball and squeaker in one. 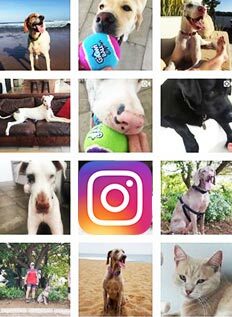 It's a combination of two loved dog toys to create the perfect fetch toy. 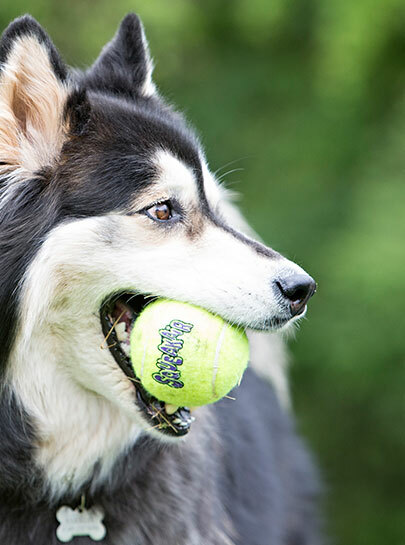 The high-quality Squeakair Ball will not wear down your dog's teeth. It's made with special non-abrasive felt.